It's so lively in the daytime, but it's very quiet at night. I like the calm atmosphere at night in the summer. 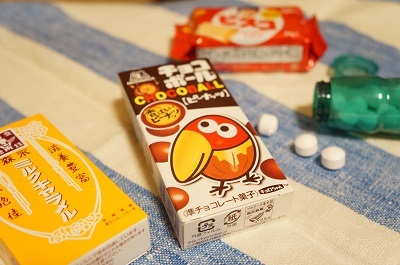 These are the cheap traditional children's sweets in Japan I introduced in the latest video. I used to eat them when I was a child. Especially Choco Ball! The aroma of chocolate reminds me of my childhood. What was your favorite sweet in your childhood?